High-impact polypropylene frame. Innovative 4-way locking system. 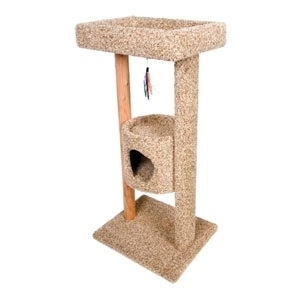 Satisfies the feline friend s natural instinct to scratch, climb, perch and hide. 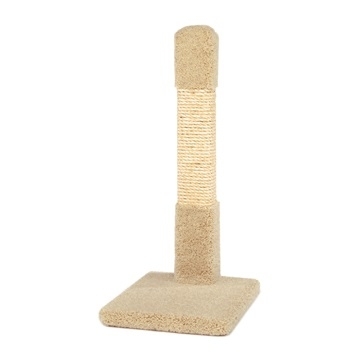 Satisfies the feline friend's natural instinct to scratch, climb, perch and hide. 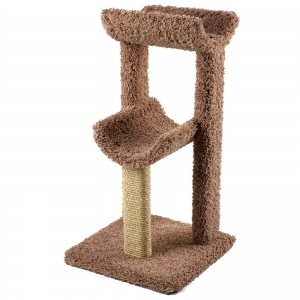 Carpet cat furniture with tube sisal and perches dimensions 23” x 20” x 56”. 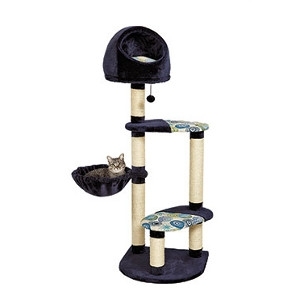 Keep your cat comfortable in a Kitty Tree Top Terrace. 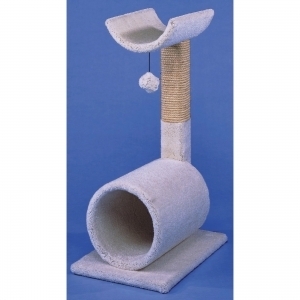 With the measurement of 18 X 22 X 42 in., it's perfect for any cat, big or small. 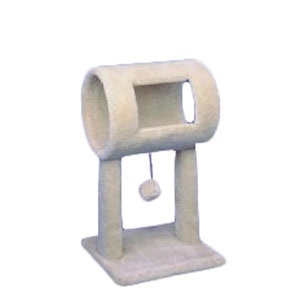 Satisfies the feline friend's natural instinct to scratch, climb, perch or hide. 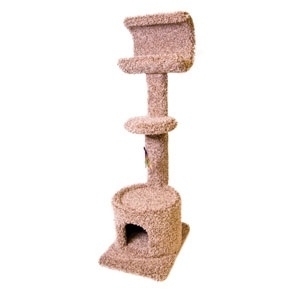 Kitty Condo 2 Level 22.5 In. 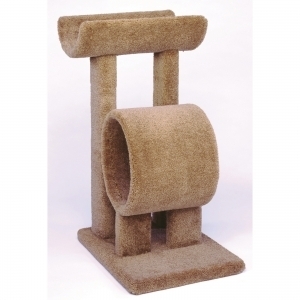 Carpeted double decker cat piece with 2 holes. 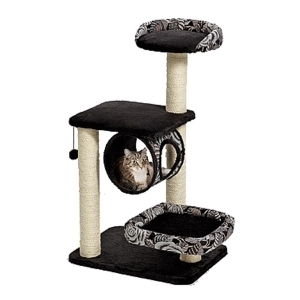 Quality built cat perch for playtime. 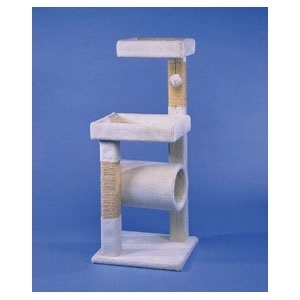 Includes cattachable toy and the perch is intended so your cat can curl up comfortable. 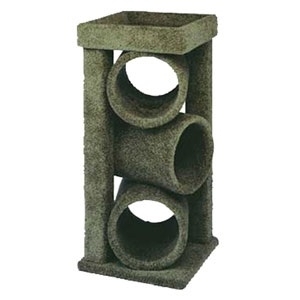 Three pillars keep the perch stable. 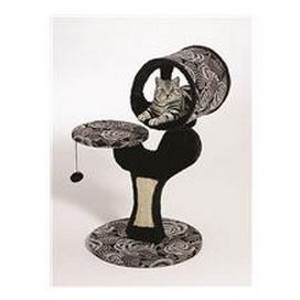 Popular design for your favorite feline. 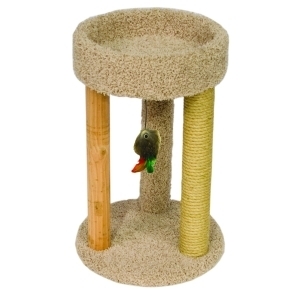 Includes a tunnel hideout, sisal scratch, kitty cradle and dangle toy. Solid wood supports. Elevated lounger and lower level condo. 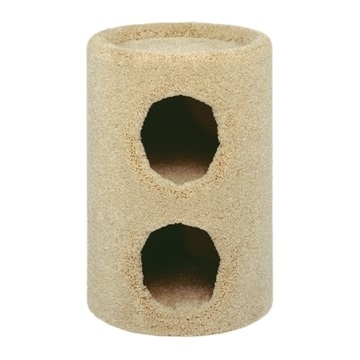 Three fun multi-surface scratchers for your cat to have hours of scratching fun. 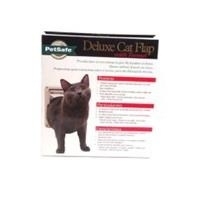 Helps protect your furniture from being scratched. 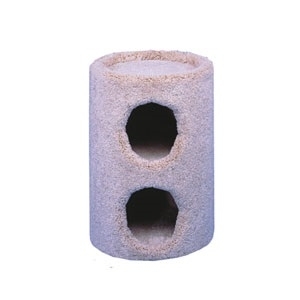 Top and bottom are carpeted for softness and the top makes a great place for your cat to rest. Ultra-soft faux fur with designer print fabric. 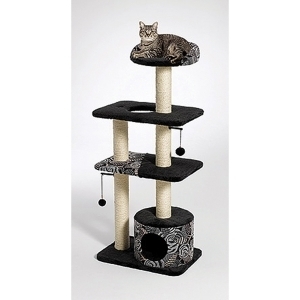 Sturdy multi-tier design provides perfect retreat for lounging and play. High-rise bolstered bed, cubby retreat with bed topper, lounging hammock and resting platforms with sisal-wrapped supports. Ultra-soft faux fur with designer print fabric. 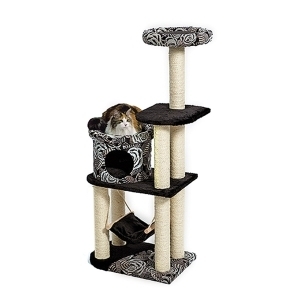 Sturdy multi-tier design provides perfect retreat for lounging and play. Flexible arms danble toy balls above cubby retreat and resting bench with sisal-wrapped supports. Ultra-soft faux fur with designer print fabric. 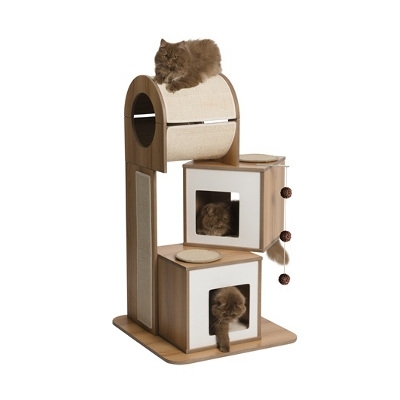 Sturdy multi-tier design provides perfect retreat for lounging and play. Bolstered lounging perch, resting bench, lounging lookout and low bolstered bed with sisal-wrapped supports. Ultra-soft faux fur with designer print fabric. Sturdy multi-tier design provides perfect retreat for lounging and play. 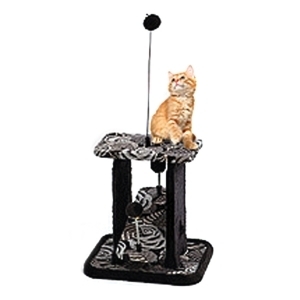 Spring balls attached to pass-through teetering platform with elevated perch and toy ball with bell. Ultra-soft faux fur with designer print fabric. Sturdy multi-tier design provides perfect retreat for lounging and play. Features high-rise bolstered lounging perch, resting benches with sisal-wrapped supports and cubby retreat. 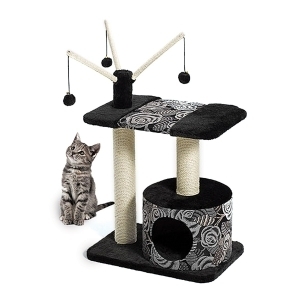 Designed with a cat’s lifestyle in mind, each style of Feline Nuvo™ offers a variety of play and lounging options and is the perfect addition to any home. 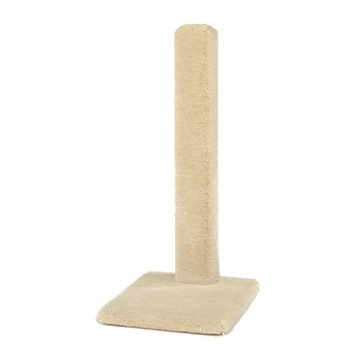 Sisal-wrapped supports provide a tough, resilient scratching post for your cat’s scratching needs while the plush dark fabric easily wipes clean from cats accidents. 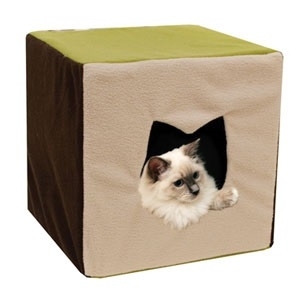 Attractive, easy-to-assemble cube features a cushioned bed topper with stuffed bolsters and cozy hideaway. The cube is easy to assemble and folds down for storage. 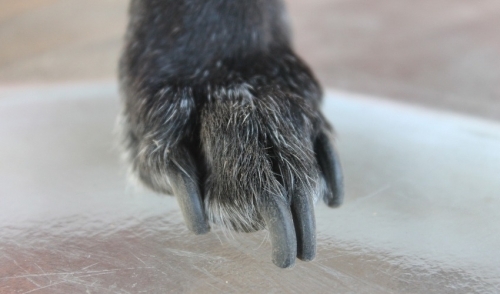 The attractive, soft faux suede and synthetic sheepskin goes nicely with any décor. 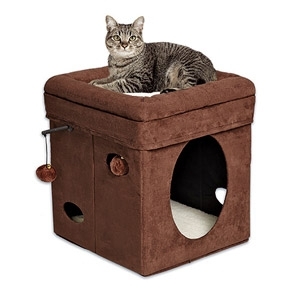 The Curious Cat Cube features a cushioned bed topper with stuffed bolsters for an elevated lounging spot and a cozy hideaway with a large entry for the optimum space to curl up and nap. The cube also features hide & seek side cutouts and hanging plush toys with jingle bells for playtime.